Repair your hair with the nourishing power of Pantene Pro-V Repair &amp; Protect Conditioner. This powerful Pro-V formula contains micro-moisturizers that wrap every strand for long-lasting softness and manageability. Delivering 2X less breakage,* gently massage into hair and rinse to experience rapid nourishment and beautifully soft hair. *shampoo &amp; conditioner system vs. non-conditioning shampoo. Repair your hair with the nourishing power of Pantene Pro-V Repair & Protect Conditioner. This powerful Pro-V formula contains micro-moisturizers that wrap every strand for long-lasting softness and manageability. Delivering 2X less breakage,* gently massage into hair and rinse to experience rapid nourishment and beautifully soft hair. *shampoo & conditioner system vs. non-conditioning shampoo. Instructions: Massage into wet hair after shampooing, paying special attention to ends. Rinse thoroughly. Gentle enough for use on permed or color-treated hair. With micro-moisturizers., Luxurious rich cream., Fight damage every wash., Long lasting softness. I use this product every other day. After shampooing and conditioning I apply Argan oil. I cut my ends a few times per month. I color using 30 volume peroxide, but color every 2nd to third month. I don't use any other product or heat styling since it is both drying and damaging to my hair. All of these steps keeps my hair looking good. My hair is thin and is highlighted with bleach so not many conditioners work in my hair. This Pro-V Repair & Protect Conditioner worked amazing. It took every knot out and replenished my hair with so much moisture. My hair was shiny, snarl free, and full of body and movement. No more dull lack-luster hair for me! My hair really did look and feel so healthy after just one use and even got better with time. 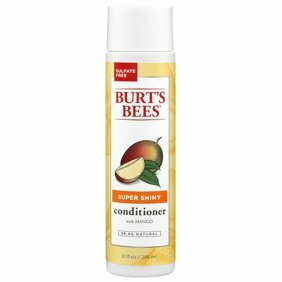 I absolutely love this conditioner! I definitely recommend this to everyone. I bought this as I had forgotten to pack conditioner on a trip, and needed to pick something up. I was amazed after just one use how different my hair felt. When I came home I threw away all the conditioner I had in my house. I'll never use anything else as my hair feels twice as thick, and oh so soft, and silky. In combination with the shampoo, this conditioner makes my hair smoother, less frizzy, and extremely soft with a natural shine. It doesn't weigh down my hair or leave it with any feeling of being "coated". It performs just as well as the expensive salon brands I'd been using for the past few years, and it's much more affordable. I'll continue to purchase!